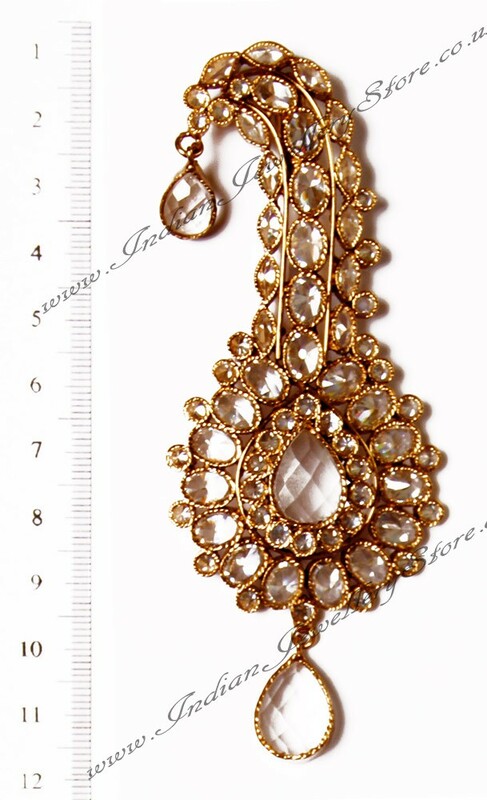 Indian brooch / kalgi (turban pin) in Antique-M gold and American Diamond. Set with clear white stones. Attaches to turban with hook. Also has a cup for optional feather to come from top. Made using traditional Rajasthani jewellery design and techniques. Indian Jewellery Store LOVES this product. Scale shown in image is in cm.